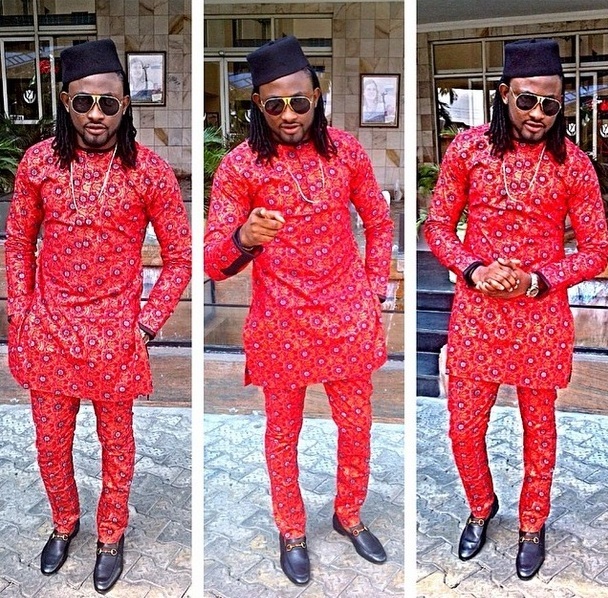 Uti Nwachukwu has been one of the very outstanding Nigerian males that appears flawless in many outfits. This will be the first time, I am officially recognising and celebrating him on Egosentrik Blog. Uti rocked this outfit to Paul Okoye’s wedding and it was made by ‘Yomi Casuals’. I must say it looked absolutely breathtaking and I love it!!! Yeah…time to show the world, the beauty of African Fashion!!! Let me also make it clear that anyone who calls himself/herself a fashion designer, but criticise our African fabrics because of it’s affordability, is as good as the Bleaching cream low lifers…. Na inferiority complex + jealousy +bitterness dey worry all of una…do me a favour, find the nearest wall around you and hit your head very hard there…*Ouch,did it hurt*?….Lmao. This entry was posted in Entertainment, Fashion trends, wedding fashion and tagged Uti Nwachukwu.